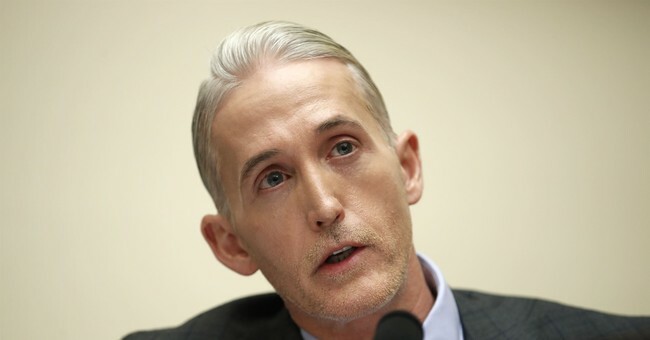 Oversight Committee Chairman Trey Gowdy on Tuesday sent a letter to White House Chief of Staff John Kelly asking for additional details about Ivanka Trump's use of a personal email account to conduct official White House business. On September 25, 2017, the Committee requested documents and information from the White House related to compliance with federal recordkeeping laws, the use of private email accounts, and the use of text messaging and other phone-based applications and encryption software to conduct official business. In response to the request, the Counsel's office provided information in a bipartisan briefing on October 18, 2017. During the briefing, the Counsel's office advised there was an ongoing review related to information requested by the Committee on September 25, and the review covered certain allegations of recordkeeping noncompliance. The Counsel's office committed to share the findings of the internal review with the Committee as soon as practicable. Today, it was disclosed Assistant to the President Ivanka Trump used a personal email account to communicate about official White House business. According to a spokesman, Ms. Trump "sometimes used her personal account, almost always, for logistics and scheduling concerning her family." The spokesman also stated Ms. Trump turned over all her government-related emails months ago so they could be stored with other White House records. 4. Provide documents sufficient to describe any regular updates and reminders to White House staff about prohibited use of private email. Please provide a response to the above as soon as possible, but no later than December 5, 2018. Additionally, provide a briefing to update the Committee on the status of the internal review of the White House's recordkeeping practices, to include any interim findings related to Ms. Trump's use of a personal email account. If you have any questions about this letter, please contact Steve Castor of my staff at (202) 225-5074. Ranking member Elijah Cummings, who is expected to take charge of the Committee, also said he wanted the same information as Gowdy. “We launched a bipartisan investigation last year into White House officials’ use of private email accounts for official business, but the White House never gave us the information we requested,” Cummings said in a statement to Fox News. “We need those documents to ensure that Ivanka Trump, Jared Kushner, and other officials are complying with federal records laws and there is a complete record of the activities of this Administration." The White House was given a December 5th deadline to provide the Committee with the requested information.